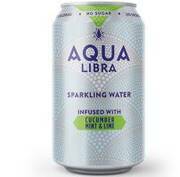 Britvic is introducing a refreshing new flavour to its infused sparkling water brand, Aqua Libra, from early April, supported with a new pack design across the range, to add fizz to retailers’ summer sales. Aqua Libra Cucumber, Mint & Lime (photo) appeals to consumers’ changing tastes and habits and will help retailers to drive growth in the water plus segment, currently worth £297m. Complementing the existing Raspberry & Apple and Grapefruit & Pineapple flavours, Cucumber, Mint & Lime combines a range of on-trend flavours and is crisp and refreshing for the summer months – a crucial period for retailers’ soft drinks sales. With 85% of the population trying to be healthier and 53% stating that sparkling flavoured water is a good alternative to traditional carbonated soft drinks, the UK market is at the beginning of its promising journey into the infused water market, following its explosion in the US. Aqua Libra is also introducing a new pack design across the range which will go live in stores from May and help to drive retailers’ sales by increasing visibility on shelves. The new packaging will further highlight that Aqua Libra contains no sugar, no sweeteners, and no calories. The 330ml Cucumber, Mint & Lime flavour ise available since early April. The campaign will be supported by in-store activation, events sampling and digital. Industry pioneers such as Lorenz Adalbert Enzinger and Theo Seitz bear witness to the long tradition research and development enjoys at KHS. Like them today’s KHS engineers don’t always go with the flow but pursue many different paths in order to stay at the helm of progress. For several years now a new acronym has been repeatedly bandied by economists and politicians: VUCA. It defines a world which is being increasingly characterized by volatility, uncertainty, complexity and ambiguity. Rapid fluctuation and high risk create challenging conditions for strategic corporate management – and for further technological development in industry. This naturally also applies to mechanical Industry pioneers such as Lorenz Adalbert Enzinger and Theo Seitz bear witness to the long tradition research and development enjoys at KHS. Like them today’s KHS engineers don’t always go with the flow but pursue many different paths in order to stay at the helm of progress. engineering and to KHS in particular, as the beverage industry, to which the Dortmund company is one of the leading systems suppliers, is subject to extremely dynamic cycles of change. In order to survive in this VUCA world and prepare for the future, a certain agility of thought and action is required. For KHS, for instance, this means focusing on the relevant issues in research and development. While a manufacturer presents its customers with something new on its own initiative in what’s known as a technology push, a market pull primarily denotes an action triggered by the sales market. Within its company strategy KHS has decided to focus on the fast-changing requirements of beverage producers. At the moment considerable effort is being invested in aligning the portfolio more specifically to target markets with a strong potential, for example. More than ever before the company has its ear to the market and aims to exploit the proximity of its sales and service organization to its customers. In order to successfully learn with and from its customers, established, trusting business relations are called for which KHS enjoys with many partners worldwide. Only within these is it possible to brave new technologies with realistic expectations and without bias as to the results. This includes openly discussing both problems and progress in a kind of ‘protected environment’ in order to be successful together – but also that those involved recognize when it no longer makes any sense to continue with a project. The partnership with the French food group Danone is a good example of this type of cooperation. This has resulted in the film-free Nature MultiPack™, first presented as a concept at drinktec in 2013, was readied for serial production and then launched to market with the Evian mineral water brand. The same technological principle was adapted together with Carlsberg for the beverage can and launched to the british and norwegian market in 2018. New projects have to satisfy two requirements: the concept of effectiveness dictates that the right things are done, that is that the correct emphases are placed so as to come as close as possible to the market and yield the greatest possible benefits for the customer. The second requirement of efficiency demands that things are done correctly, in other words that maximum productivity is assured in the product development process from the initial idea to the rollout. This doesn’t prove successful when innovation is merely treated from a technological point of view. Greater priority is to be given to customer benefits through even closer dovetailing of and constant coordination between the Design Engineering, Production and Sales departments. More intensive communication between customers, KHS Sales and KHS Technology is to ensure that specifications can be better recorded and more directly implemented in the various system solutions. To KHS networking and cooperation with external partners are of great importance as major drivers of progress. Not only customers but also suppliers are included here – for example those who provide measurement technology, components or software – as well as research institutes and universities. Two of the research projects KHS is currently involved in are dedicated to the application of new manufacturing technologies. One disruptive approach is the 3D printing of parts which can barely be produced cost effectively in the classic manner or whose geometric shapes are far superior to the doubles produced conventionally, for instance. KHS takes a clear stance on the hype surrounding digitization which is often quoted when talking about the future viability of the industry: beyond the buzzwords and a number of interesting trends the sole criterion for the implementation of ideas based on digital technologies is the added value for the customer. Incidentally, KHS has every right to be confident here as it is a pioneer in many fields – such as in 3D line design which the company has been practicing for over ten years. In addition to its digital projects KHS is concentrating on two more future issues. One of them isn’t new: this is the total cost of ownership (TCO) factor, including all measures which enable the beverage industry to keep its overall operating costs down to the absolute minimum. It covers aspects such as lightweighting, i.e. reducing the weight of PET bottles, material, media and energy consumption, an increase in productivity and simpler operation. The other topic for the future which KHS has been committed to for a long time now encompasses modularity and standardization. Here, the aim is to provide as much variety as possible externally while producing with the lowest possible variance in house. A limited number of modules with tried-andtested functions forms the basis for this, with which the maximum possible number of configurations can be efficiently made. A system such as this permits lower lead times in production and faster commissioning. This approach is already being adopted in the field of aseptics, for instance. The result is a configured system with a manageable risk and a very high quality – and this is a foundation customers can build on. Sustainability is a top priority for Vetropack Group, which is why it publishes a report designed to inform its business part-ners, customers and the general public about its economic, environmental and social activities. The 2018 Sustainability Report is in line with the GRI G4 Reporting Guidelines – option “core”. Environmentally sustainable business management forms an integral part of Vetropack’s corporate philosophy. Continuous improvement enables the Group to meet its stakeholders’ expectations and strengthen its market position. To provide its customers with crystal-clear transparency, Vetropack undertakes “cradle-to-cradle” life cycle analyses of its products and enables customers to evaluate a range of scenarios. The traceability of individual products is becoming an increasingly sought-after attribute. In its efforts to reduce the eco-footprint of its products and services, Vetropack Group is sending out a clear message: investments are being made in product development, logistics, measures to raise the percentage of cullet in its melted material and the energy consumption of the melting furnaces. In 2018, the percentage of recycled glass used in producing green glass was 61 per cent, while amber and flint glass containers consisted of 50 per cent and 43 per cent used glass respectively. In some glassworks, used glass makes up as much as 83 per cent of the raw material. Overall, 2,499 GWh of energy was consumed in 2018. Thermal energy for the furnaces accounted for more than 60 per cent of the total greenhouse gas emissions generated during production. The close and candid dialogue with customers helps Vetropack to develop and improve its products on a continual basis. All customer feedback serves as impetus for a learning process. Quality is very important to Vetropack here and, in addition to the finished product, also incorporates the quality awareness established across the Group and encapsulated in the corporate principle “one brand, one quality”. In 2018, Vetropack focused on a 360-degree analysis of all quality processes with the objective not of establishing more processes throughout the Group, but rather bringing about optimised ones. Product quality and safety are an essential part of Vetropack Group’s quality management, as is environmental management. For large customers in particular, information about the environmental footprint of their glass packaging is increasingly important. Customers are setting ever greater store by the principle of sus-tainability because today’s consumer is more conscious of health and environmental issues. Vetropack Group is one of the leading manufacturers of glass packaging for the food and beverage industry in Europe. It operates sites in Switzerland, Austria, the Czech Republic, Croatia, Slovakia, Ukraine and Italy. SIG is the first in the industry to enable customers to demonstrate their commitment to responsible aluminium sourcing using the Aluminium Stewardship Initiative (ASI) certification. Europe-wide ASI certification is an important step towards SIG’s target to source 100% of its key materials from certified sources as part of its ambition to go Way Beyond Good for the environment and society. A total of 13 awards went to DS Smith’s display and packaging strategists at this year’s Print Awards by the European Flexographic Industry Association (EFIA). The silver medallists included DS Smith Germany with their printed image for the multivitamin-12 juice drink by the Christinen brand. The photo-realistic image of fruit splashing into mineral water showcases DS Smith’s excellence in flexographic post-printing down to the very last halftone detail. When placed on the shelves, this high-impulse printed image on the corrugated board packaging becomes an unmistakeable brand ambassador and sales driver. Brilliant colours, smoothly flowing lines, and razor-sharp image details convey a visual quality which whets one’s thirst for this naturally healthy refreshing drink by the Bielefeld-based beverage group Gehring-Bunte. Caption: DS Smith Packaging Germany won silver at this year’s EFIA Print Awards for the sophisticated printed image of the shelf packaging for the multivitamin-12 juice drink by Christinen. The family-owned company Gehring-Bunte was founded in 1895 on the values of tradition and innovation. Their Christinen brand stands for premium mineral water of certified organic quality: Obtained from the untouched rock layers more than 400 metres deep, the naturally pure mineral waters, spritzers, and soft drinks by Teutoburger Mineralbrunnen GmbH & Co. KG are by now sold in more than 15 countries in Europe. The multivitamin-12 juice drink, which comes in various sizes and bottles, is one of those drinks. The corrugated board packaging realised by DS Smith for the sale of the convenient 0.5-litre PET bottles helps to put the goods on adequate display on the shelves. The brand values of the drink — natural, fruity, refreshing — are conveyed perfectly in the photo-realistic image of fruit splashing into sparkling water. Realised in flexographic post-printing with 24 lines per centimeter in five colours, the shelf packaging distinguishes itself through extraordinarily brilliant colours, razor-sharp image details, and delicate colour gradients. Tetra Pak has announced it is developing an energy assessment programme in collaboration with ABB to help food and beverage producers lower their environmental impact and cut costs. These solutions have been showcased in the Swedish Pavilion at Hannover Messe 2019 between April 1st and 5th. ​The programme provides an assessment of the entire plant, helping customers minimise their environmental impact and maximise profitability. Based on this analysis, Tetra Pak provides recommendations for food producers on opportunities to reduce energy consumption and help them make informed decisions about how resources are used in their plants. ​Based on pilot projects in the Americas, the programme can potentially reduce carbon emissions for food and beverage manufacturing and cut energy cost by between 15% and 25%. Published today, SIG’s Corporate Responsibility Report for 2018 highlights the progress the company has made towards its bold ambition to go Way Beyond Good – and explores what this means for the environment, society and SIG. - First to offer a market-ready alternative to plastic straws for use with aseptic carton packs – SIG’s paper straw solution was launched in early 2019 and Nestlé has already tested the market launch in the Dominican Republic. In addition, SIG recently celebrated the launch of its Cartons for Good flagship project in Bangladesh, where its unique mobile filling machine is helping farmers preserve surplus food and providing children with school meals. SIG’s latest Corporate Responsibility Report combines narrative on the company’s progress with detailed reporting on the management of its most material environmental and social issues. It was prepared in accordance with the Global Reporting Initiative (GRI) Standards: Core option. GRI requirements are clearly signposted throughout the document, together with relevant United Nations Sustainable Development Goals. Visual cues throughout the document highlight areas where SIG is leading the industry, as well as tracking progress towards its goals and acknowledging key challenges as part of the company’s commitment to transparency. SIG’s external Responsibility time in 2018 and direct feedback from members of the RAG is published in the report, together with the company’s response. Quotes from other stakeholders add further credibility and selected data points have been externally assured. The report shows how corporate responsibility is built into the company strategy and every aspect of the business as SIG strives to go Way Beyond Good. Plastic packaging solutions provider ALPLA and paper packaging materials- and solutions provider BillerudKorsnäs announced that they will embark on a joint venture. They do so with the vision to develop a fully biobased and recyclable paper bottle. ALPLA and BillerudKorsnäs announced that they will form a joint venture in the Danish paper bottle company ecoXpac. When the transaction has been completed, ALPLA and BillerudKorsnäs will own equal parts of ecoXpac. A minority post will be held by the founder family. BillerudKorsnäs is currently the majority owner and has been a shareholder in the company since 2015. BillerudKorsnäs has been a driving force in the ongoing development of a paper bottle, which was started by ecoXpac in 2010 and with Carlsberg Group since 2015. -“With BillerudKorsnäs we have found an ambitious partner creating a new packaging market segment that offers a complementary consumer experience to our current rigid packaging solutions. ALPLA is sharing the passion for technical challenges and innovation. I want to emphasise the long-term vision of the joint venture to introduce fully biobased paper bottles. ALPLA is contributing capital as well as technical know-how to the joint venture to accelerate the development and market introduction of the paper bottle”, says Günther Lehner, CEO of ALPLA. -“I believe that with our shared and honest ambition to break new ground, ALPLA and BillerudKorsnäs now make an important commitment to contribute to a more sustainable future. The question is not ‘if’ but rather ‘how soon’ this joint venture will introduce a fully biobased and recyclable paper bottle to the market. And when we do, it will enable a significant shift in consumer behaviour globally,” says Petra Einarsson, CEO and President BillerudKorsnäs. -“EcoXpac was founded with a strong vision for the future. Today we are privileged to have the best players in their fields sharing our vision. It makes me proud of what we have achieved so far. The vision has never felt closer to reality than today,” says Martin Grosen Petersen, CEO of ecoXpac. Picture: FreshSafe PET®: a wafer-thin layer of glass on the inside wall of the PET bottle combines product protection with the option of full bottle-to-bottle recycling. The public demand for more sustainability is growing stronger. As a result the industry is increasingly concentrating on the recyclability of PET bottles. However, this type of packaging often contains composite materials which considerably hinder simple, pure-grade recycling. KHS’ FreshSafe PET® technology offers the beverage and food industries a unique alternative. A wafer-thin protective layer of chemically pure glass on the inside wall of the PET container combines product protection with full bottle-to-bottle recycling. This has now been officially acknowledged by North America’s Association of Plastic Recyclers (APR): this recognizes PET bottles coated using Plasmax barrier technology as meeting or exceeding APR’s most stringent Critical Guidance criteria for recyclability. “Plastics are being subjected to increasingly critical questioning. People want more sustainable solutions from the industry,” says Jon Elward, head of Plastic Packaging at KHS USA, Inc. “The demand for clean recycling systems in particular is steadily gaining in significance.” The gradual ousting of mixed material PET bottles which are hard to recycle is progressively opening up the market to packaging systems which are easy to recycle. In this context KHS’ FreshSafe PET© technology provides a suitable alternative and has now been classified as meeting APR’s  most stringent Critical Guidance criteria for recycling. The wafer-thin glass coating applied to the inside wall of the bottle is washed off during the recycling process, producing pure PET. “We’ve fully satisfied the strict specifications and critical demands of the recognition process,” states Elward. “This again proves that FreshSafe PET® is the only sustainable technology on the market and a reference for the recyclability of PET bottles without composite materials.” With it sensitive products such as juice, wine, sauce and liquid food are protected from oxidation and carbonated beverages from carbon dioxide loss. Furthermore, compared to standard composite materials the coating process provides a much better barrier quality and ensures much longer product shelf lives. “This technology considerably facilitates recycling and at the same time improves the barrier properties of PET bottles,” confirms Steve Alexander, executive director of the APR. Through its recognition program the organization aims to improve the recycling quality of plastic bottles. According to Elward, interest among bottlers is growing in the system which has already been tried and tested many times over on the market. “There is an increasing demand for sustainable packaging.” With the recognition issued by the APR bottlers and recyclers can be more confident the technology supports the American PET recycling market. “This is a significant step in further establishing this technology,” Elward believes. The EPBP also gives FreshSafe PET® top marks. In its design guidelines the platform rates the materials used with regard to their recyclability using a traffic light system. The SiOx coating is described as being the only fully compatible barrier technology. Beverage producers of course incur additional overheads when they invest in FreshSafe PET© yet these quickly pay off as the overall operating costs at the plant are reduced. When they use this system bottlers can switch to less expensive standard PET preforms, relieving them of the obligation to source preforms from a specific manufacturer. KHS offers plant operators an individual consideration of the total costs accrued when using its barrier coating technology. “Measured against the huge benefit of additional product protection and longer product shelf lives in particular, the costs per bottle are actually lower than when conventional composite materials are used,” smiles Elward. Together with customers and partners, ENGEL de Mexico opened a second location in Mexico in San Pedro near Monterrey. "We are thus shortening the distance to our customers in the very important industrial region in the north of the country," emphasizes Peter Auinger, Managing Director of ENGEL in Mexico. Photo: Two sales experts and four service technicians are the initial team: ENGEL has opened a second location in Mexico in San Pedro near Monterrey. ENGEL de Mexico SA de CV is headquartered in Querétaro near Mexico City in the centre of the country, where numerous companies in the plastics industry are also based. There are 800 km between the two industrial regions. "This is precisely why we decided to establish a permanent ENGEL team in the north," says Auinger. Two sales experts and four service technicians are the initial team. In addition to offices, they have at their disposal a large conference room with state-of-the-art presentation technology, which is also used for customer training courses. At the inauguration of the site, Peter Auinger demonstrated the new possibilities with a live broadcast to Querétaro. Via the ENGEL service tool e-connect.24, he switched to an injection moulding machine in the technical centre of the central Mexican branch. The CC300 control surface was transferred in real time to the monitor in San Pedro and the machine was remotely controlled from there. For training courses and workshops directly on the machine, ENGEL works together with a partner in the north of the country. In its technical centre in Monterrey, this partner has machine capacities available for ENGEL customers. "We are increasingly becoming a partner for our customers over the entire life cycle of our injection moulding machines and system solutions," explains Auinger. “The demands placed on our consulting services are increasing, and we are working more and more closely with our customers. The geographic proximity becomes even more important." In the Monterrey region, the automotive industry in particular is strongly represented. In addition, ENGEL de Mexico has many customers in the packaging, telecommunications and consumer electronics industries. Injection moulding machine manufacturer and system solutions provider ENGEL, headquartered in Austria, has had its own sales and service subsidiary in Mexico since 1996. In 2010, the premises were moved from Mexico City to Querétaro and significantly expanded. ENGEL has its own machine technology centre and spare parts warehouse in central Mexico. All in all, ENGEL employs almost 70 people in Mexico. Beer is one of the few industries which has weathered the last century and even put Luxembourg on the world map. Delano examines how Luxembourg’s brewing industry is securing its future. Luxembourg has a long brewing tradition dating back to at least 1300. At the industry’s height in the 1950s, the country boasted some 12 breweries. While today, that number has fallen to three large breweries and a handful of micro-breweries, brewers certainly see this industry as a “glass half-full” activity, investing millions in modernising their operations. Belgian beer giant AB InBev inaugurated a new brewing facility in Diekirchfor the Mousel and Diekirch pils brands on March 15. This €25 mln project, of which €12 mln went into constructing the new brewery building, was to provide a facility “for the next 100 years,” operational director Pierre Van Vynckt told Delano on March 15. The brewery was first founded in 1871 and continued a tradition begun by monks. Its founders purchased land close to the station in 1880 to expand its production and then constructed an entirely new industrial brewery in 1930. As the country is gripped in a housing shortage, the old brewery site will be transformed into flats and commercial space. Most of the operations will be moved to the new building where the first batch of beer was started at the end of 2018. The facility, which has a capacity for brewing up to 250,000 hectolitres per year, has enabled the complex to increase its brewing operations team, from 22 to 25, in an overall workforce of 54. The biggest gain in the new facility will be in sustainability. High-tech equipment, modern installations, insulation and other features mean the brewery uses 10% less water, and will reduce electricity consumption by 15%, and its carbon footprint by 75%. The Luxembourg State was able to help subsidise some of these features but the majority of the bill was picked up by the parent company. It is not the only brewery to make its operations more efficient. The Brasserie Nationale in Bascharage (Battin, Bofferding and Funck-Bricher ranges) announced in February that in 2018 it made water, electricity and gas savings equivalent to the consumption of 30 family homes. And further savings are expected, thanks to a €800,000 investment in two new vats. The vats allow for the automation of cleaning, collecting waste and adding yeast. Other changes in the industry have been in the habits of consumers. “People are drinking less beer, but they are drinking better,” Diekirch general director Gilles Nackaerts said on March 15. In 2017, global beer consumption declined by 1.9 mln hectolitres, while the volume of beer brewed in Luxembourg fell from 273,671 hectolitres in 2017 to 368,221 in 2018. That has forced brewers to be more innovative about their range of products and how they market them. Both Brasserie Nationale and Diekirch have non-alcohol or zero alcohol beers in their ranges. And their lager or pils ranges have benefited from a global trend that is bringing lagers back in vogue. Another factor shaking up the beer industry in Luxembourg is the rise of the microbrewery making craft beers. Brasserie Nationale sees the trend as a win-win for the sector, suggesting that the quality and diversity microbreweries bring to the market bring a sophistication to the product that in the past was only associated with wine-drinking. In the past decade around a dozen microbreweries have sprung up in Luxembourg including Fox Beer, Nowhere Brewing and Brauerei Stuff. Producing smaller volumes and with less capital to invest in machinery, these brewers have to focus on the quality produce and variety to secure their future in the industry. Like larger scale brewing operations, microbreweries are impacted by a growing trend for drinking at home. But they also face their own challenge, namely the distribution of bar licences in Luxembourg. "95% of bar licenses are owned by the big breweries to ensure small businesses and bar owners are sometimes forced to go through the big breweries to be able to sell alcohol. When this happens, they are then limited by what they can sell. i.e not competing brands," Stuff Brauerei’s Joseph Hallack-Wolff told Delano on March 18. Other microbrewers like Bouneweger Brauerei, have found a way around this by combining brewing with bar or tap room (Craft Corner, in Bonnevoie). Larger breweries are meanwhile following the wave for craft beer with Brasserie Nationale recently reviving the Funck-Bricher brand (first founded in 1764), which it merged with in 1975, to produce an organic vegan beer. Wiltz-based brewery Simon has, meanwhile, spearheaded much of the organic beer brewing trend as well as producing craft beer ranges using local produce like Ourdaller. Britvic is expanding its Robinsons Fruit Cordial range in time for summer, with the addition of a new Strawberry, Cucumber & Mint flavour (photo). The limited edition cordial will help retailers capitalise on a key season for the soft drinks industry and drive sales through the brand’s close association with Wimbledon. The new addition will be unmissable with a £3m Wimbledon campaign to support the launch, including in-store activation and sampling. As a brand, Robinsons is going from strength to strength. In addition to being the number one low or no sugar squash brand in the UK, it is growing ahead of the squash sector at an impressive +13.1%. As Wimbledon’s official soft drinks partner, sales of Robinsons do spike during the tournament, with last year seeing over 1.9m more households purchase the brand than during the same time period in 2017. 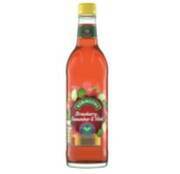 Looking specifically at the Robinsons Fruit Cordials range, this has already been tried by over 1.5m households, gaining more shoppers than the number one premium cordial brand. With combinations of real fruit and botanical flavours, the new Robinsons Strawberry, Cucumber & Mint cordial has no artificial colours or flavourings, and will include the Wimbledon logo on-pack to drive further relevance among shoppers. The versatile cordial can be mixed with still or sparkling water and also makes a great base for mocktails, appealing to those looking for a non-alcoholic alternative this summer. The limited edition is available in a 500ml bottle with an MRSP of £2.50. -To guarantee a high process consistency and to prevent rejects with the help of intelligent assistant systems, even when the raw material is subject to strong quality fluctuations, as is often the case with recycled materials. -To further increase the proportion of recycled material in sandwich components with the aid of innovative processing technologies. -Working closely with processors in the course of product development with the goal of reducing material usage and enabling the subsequent recycling of products. -To further strengthen the consulting services in the area of upstream processes in order to optimize the processing of recycled materials for injection moulding. Beer brewed in Spain has been exported in ever increasing volumes to China during the last 10 years, the Director of Cerveceros de Espana, Jacobo Olalla, explained to Xinhua in an exclusive interview. This organization represents the interests of Spanish brewers. Although Spain has always been associated with wine production, the long hot summers mean that the Spanish also have a long tradition of drinking beer. However, Spanish beer export is a relatively recent phenomenon. Olalla explained that the breakthrough came with the 2008 economic crisis: "Over the past decade, the Spanish brewing sector has made a big effort in the export market with spectacular results. During the last 10 years, we have seen exports grow by 250 percent," he said. The crisis had led to a downturn in domestic beer consumption, and breweries turned to the export market to help compensate for lower domestic sales. "First we looked to countries around us, such as Portugal or countries with a beer drinking tradition, such as the UK, but then the chance to export to China appeared," explained Olalla. According to data supplied by Cerveceros de Espana, Spanish beer exports to China increased 672 times in value and 628 times in volume between 2008 and 2018. "China is an enormous market, with a great deal of potential for growth and a lot of consumers. It is also a powerful economy and all the time there are more people there who want quality products, such as Spanish beer," continued Olalla, adding that 22.12 percent of Spain's beer exports now go to China. Last year saw 54.22 million litres of beer worth 49.8 million euros (56.45 million U.S. dollars) exported from Spain to China, with only Portugal and the UK importing more. "Spanish beer is a product of tremendous quality: Spain is a massive producer of cereals, such as wheat and barley, which are vital for brewing good beer and perfect for making lager, which is a style of beer that is usually light, not too alcoholic and easy to drink," explained the director of Cerveceros de Espana. He added that cultural factors have also worked in favor of enabling the Chinese to develop a taste for Spanish beer. "All the time our relationship with China is expanding. Beyond trade, we also see more Chinese tourists in Spain, and there are more Chinese people living and working here now," he said, adding that while in Spain, more and more Chinese people try and get to like Spanish beer. The rankings of the biggest breweries in the US don’t change dramatically from year to year. AB InBev is always atop the list. And Yuengling leads the craft brewing category. But when it comes to the nation’s fastest growing breweries, things get a bit more interesting. The Brewer’s Association has announced this year’s list of the small and independent beer makers whose production has increased the most in the past year. And Lake Time Brewery from Clear Lake, Iowa tops the list. There’s a fair chance you haven’t heard of Lake Time, even if you’re a craft beer enthusiast, unless you live in the area. That’s likely true of most of the 50 breweries on the list. 2. Fins Big Oyster Brewery, Rehoboth Beach, Del. 3. Oak Road Brewery, Summerville, S.C.
4. The Dreamchaser’s Brewery, Waxhaw, N.C.
6. Shattered Oak Brewing, Oregon City, Ore.
7. New Glory Craft Brewery, Sacramento, Calif.
8. Bonn Place Brewing, Bethlehem, Pa.
9. Borderlands Brewing Co., Tucson, Ariz.
10. Periodic Brewing, Leadville, Colo. Overall, the brewers on the list experienced a median growth of 163%. Production volumes ranged from 50 barrels per year to over 40,000 per year. “Even as market competition continues to increase, these small and independent breweries and brewpubs demonstrate there are still growth opportunities across a diverse set of regions and business models,” said Bart Watson, chief economist at the Brewers Association. Bühler has on March 19 joined the World Business Council for Sustainable Development (WBCSD), a global network of nearly 200 forward-thinking companies. By connecting with WBCSD, Bühler can make a real impact on global corporate sustainability and on providing the growing world population with the nourishment and mobility solutions of the future. Every day, two billion people enjoy foods produced on Bühler equipment; and one billion people travel in vehicles manufactured with parts produced with our machinery. Bühler technologies and solutions are used in the global production and processing of grains, corn, rice, pasta, pulses, cereal, chocolate, snacks, wafers, coffee, and feed for fish, pets, and livestock. They are also used for smart phones, solar panels, diapers, cosmetics, banknotes, energy-efficient buildings, eye glasses, and more. Having this global relevance, Bühler is in an ideal position to address some of the world’s pressing challenges and transform them into sustainable business solutions. The World Business Council for Sustainable Development is a CEO-led organization of over 200 companies working together to accelerate the transition to a sustainable world. The WBCSD galvanizes the global business community to create a sustainable future for business, society, and the environment. Together with its members, who represent all business sectors, the council shares best practices on sustainable development issues and develops innovative tools that change the status quo. German beer brand Krombacher has expanded its portfolio with the addition of a non-alcoholic wheat beer called Weizen in the UK, the Drinks Insight Network reported on March 28. With less than 0.5% alcohol by volume (ABV), the new non-alcoholic beer is brewed with Hallertau hops and fresh mountain spring water. This latest drink comes following the launch of Krombacher Low Alcohol Pils. Krombacher UK and Italy sales and marketing director Stephan Kofler said: “Not only have campaigns like Dry January shown that there is a real demand for low and no alcohol beers but it’s made people realise that there are now some fantastic tasting options available of varying styles. “Whether it’s down the local pub or at a major supermarket, you’re now seeing plenty of choices and I believe our Weizen will prove a welcome addition to the arena. Targeted at the UK on-trade and off-trade, it will be rolled out immediately in 50cl bottles in cases of 12. Kofler expects the new beer to attract runners and cyclists. In January 2017, the German brewer introduced a range of non-alcoholic beers in its local market. Picture:Innofill Can C: growing interest in the system has prompted KHS to engineer a new machine size with 27 filling valves and six seaming stations for the production of formats holding between 150 milliliters and one liter. This boosts the filling capacity for 330-milliliter cans, for instance, from 15,600 to 20,100 per hour. Innovative high-performance engineering for the low-capacity range: KHS USA, Inc. will be presenting its compact and efficient systems at this year’s BrewExpo America® which is staged as part of the Craft Brewers Conference. KHS’ main emphasis at the trade show will be on the tried-and tested Innofill Can C can filler and the fully automatic Innopro Craft CIP Skid cleaning system. KHS will be exhibiting at Booth #16033 from April 8-11, 2019. With the development of its Innopro Craft CIP Skid KHS provides a new system for the supply of rinsing and cleaning media to its can, bottle or keg fillers. “This CIP system is perfectly tailored to the requirements of the lowest capacity range,” states Rick Feuling, product manager of Filling and Process Technology at KHS USA, Inc. It has an automatic recipe setting option. Around 230 liters of caustic a minute can be produced to sanitize system piping and fillers with a maximum of 60 valves. The Innopro Craft CIP Skid also contains a fully automatic CIP media heating system, including chemicals dosing at the appropriate recipe-controlled concentration. This shortens cleaning processes and makes them safer and simpler. “With this effective and flexible system beverage producers also save on resources such as water and energy during operation,” states Feuling. The further developed version of the Innofill Can C can filler will also be spotlighted at BrewExpo America®. Growing interest in the system has prompted KHS to engineer a new machine size with 27 filling valves and six seaming stations for the production of formats holding between 150 milliliters and one liter. This boosts the filling capacity for 330-milliliter cans, for instance, from 15,600 to 20,100 per hour. Suitable for both the beer and CSD markets, not only are the can filler’s technology and compact design convincing but also its fast installation time. As the filling and seaming stations, valve manifold, cladding and control cabinet on the Innofill Can C form an enclosed, ready-to-produce machine unit, all that has to be done during installation is to connect up the electrical cables, piping and conveyors. “Multiple reference projects realized on this market prove that KHS plant engineering has customers convinced. In addition to the growing number of craft brewers, medium-sized breweries are also asking for a cost-efficient variant for the medium-capacity range,” emphasizes Feuling. Italian brewery Birra Peroni closed 2018 with a 6.4% of growth in production compared to the previous year, to six million hectolitres, ESM reported on March 22. Over the last four years, beer production at the firm rose by 19.46%, while CO2 emissions decreased by 11.94%, the company said. Exports of Birra Peroni increased by 11% in 2018 compared to 2017, with an overall value of 2.1 million hectolitres. More than half (60%) of exports went to Great Britain, which is the main export market for the Italian brewery. The group's Rome factory reported the strongest growth in production, seeing an increase of 10.7% compared to 2017 and reaching a high of 2.5 million hectolitres. According to Roberto Cavalli, integrated supply chain director of Birra Peroni, the company boasts great industrial experience, enabling it to distinguish itself in both national and international markets. The positive performances of the Italian brewery also coincide with the company's commitment to sustainability, Cavalli added. Due to a number of investments in its production facilities, CO2 emissions at Peroni decreased from 5.19 Kg CO2/Hl in 2015 to 4.57 Kg CO2/Hl in 2018. The company also reported that electricity and water consumption has dropped steadily over the past four years. Consumers and restaurant owners are expressing frustration with Oriental Brewery (OB) for the brewer's decision to hike beer prices by 5.3 percent from April 4, the Korea Times reported on March 27. Beer lovers complain it will be more financially burdensome to have a glass of beer with family or friends as many struggle with soaring housing prices and the tight job market. People running restaurants and other eateries say it will be difficult to charge more, despite higher beer prices, in fear of losing customers amid sluggish domestic consumption. "Why don't domestic beer companies take measures to upgrade instead of raising the price?" Jeon Hyung-joon, 29, a regular beer consumer, said. "From now on, I'd rather spend more money on imported beers or prestigious or specialty beer brands." Another beer consumer, who asked not to be named, said "I'm worried OB's shift will lead to a collective price rise. If that happens, I'd have to be rational about selecting a beer from restaurants and bars for financial reasons." Restaurant owners are also wary about the price hike as they are faced with the situation to increase beer prices in accordance to brewers' moves. "We'll have to see how the industry reacts, but it seems inevitable for us to increase the beer price to 5,000 won ($4.4) from the current 4,000 won sometime during the first half of this year," a restaurant owner, who runs a restaurant in Samseong-dong, Seoul, said. "If that happens, I think consumers will shift to other available alcohol products like soju or makgeoli." On March 26, OB said the prices of its major beer brands, including Cass, Premier OB and Cafri, will go up by an average of 5.3 percent starting April 4. It is the first time for the Korea's largest brewer to adjust price since November 2016. Under the new policy, the factory price of a 500ml bottle of Cass will rise from 1,147 won to 1,203.22 won, up 4.9 percent. "The price hike was made in consideration of the overall business conditions, including increased costs associated with the production and supply of our beers," an OB official said. "But we tried to keep increases to a minimum for our customers." The costs of packaging materials rose 65 percent in two years and aluminum can prices went up 25 percent. Furthermore, the commodity prices of barley rose 31 percent compared to last year. Other brewers including Hite Jinro and Lotte Liquor are yet to reveal any price changes, but it is highly likely that price hikes by the liquor market leader will trigger other firms in the market to raise their prices. "We're also facing a rise in production costs, but we don't have any immediate plan to increase the price yet," an official at Hite Jinro said. "In the second quarter, we're going to focus on promoting our new product Terra." In 2016, Hite Jinro followed OB's price hike in less than two months, increasing the price by an average 6.33 percent. The Budejovicky Budvar brewery in the Czech Republic managed to survive a decades-long trademark battle over whether it could call its beer Budweiser. But now it faces another potential threat: Brexit, The Washington Post reported on March 18. The United Kingdom is one of the brewer’s top five markets, though it won’t say exactly how much beer it sends there. Like many other businesses, it’s concerned about what will happen if Britain leaves the European Union without an agreement governing trade. That’s meant worrying uncertainty for businesses like Budvar that rely on being able to send their goods to Britain without inspection delays at borders. Budvar’s business has been growing — it increased exports by 8.5 percent to reach 1.075 million hectoliters (28.4 million gallons) last year. The brewer reached its production capacity in recent years and has been expanding to be able to produce more. “It might threaten our positions in bars and restaurants if we’re not able to supply the market in the long term,” he said. Budvar is also among the major Czech brewers that in recent years started to deliver beer in tanks in an effort to keep it fresher. That unpasteurized beer expires after 21 days, meaning big problems if trucks get stuck at customs posts can’t get it to the UK in a timely fashion. “The last thing we need for our beer is to get stuck somewhere on the border,” Dvorak said. Among the few things Budvar can do is to stockpile as much beer as possible in Britain in hopes that a deal will be reached soon. But that’s a short term solution that works only for beer in barrels, bottles and cans. Brexit won’t change anything about that arrangement. So might British customers start drinking American Budweiser if they can’t get Budvar after Brexit? Dvorak thinks the two beers are different enough that they won’t. “In the meantime, we can only hope that the British government has a plan because it is, of course, in the interest of the British government to allow free trade,” he said. United Breweries, India's largest beer maker, expects demand and operations to be disrupted during the general elections as sale and consumption of liquor will be banned on and around the voting days, the Economic Times reported on March 18. “Election is a big disruptor simply because there are a huge amount of restrictions on hours of operations, outlet closures and dry days. So it makes the business of alcohol much more complicated," said Shekhar Ramamurthy, managing director of Heineken-controlled UB. The April 11-May 19 Lok Sabha (the lower house of India's bicameral Parliament) election will overlap with the Indian Premiere League cricket matches and the summer months, which have traditionally boosted demand for beer in the country. “It is not a question of dip in sales. It is a question of complexity in operations. For beer, the issue is that if the elections come in peak summer season, it is even a bigger disruptor,” Ramamurthy said. The maker of Kingfisher beer controls half of the country’s beer market, which saw double-digit growth in 2018, helped by a favourable base year that was volatile due to the highway ban and the implementation of GST. UB now expects the industry to have a lower growth rate of 7-8% during the year, but maintained the event will not affect its strategy in terms of product launches. While increase in “dry days” during elections is not new, polling will overlap with the label registration cycle this time, something that can directly impact operations and supply chain, say experts. “No new licences will be issued and no new product labels will be registered or granted during the period. Our industry will be in cold storage for about three months,” said Rahul Singh, founder of The Beer Cafe chain. "During the general elections of 2014, when the economy was down, we had lesser number of outlets. While the economy is booming now, the impact of the elections will be far more disruptive this time." A month ago, United Spirits, the country's biggest liquor maker, and French spirits firm Pernod Ricard also flagged concerns about the general election disrupting sales in the next quarter. "Excise officials, many of them who are posted in our factories, are co-opted for election duty. So, sometimes you don’t have the excise people there to open the factory and shut the factory and supervise the factory during the day," United Spirits managing director Anand Kripalu had said at an investor call for December-quarter earnings. Analysts, however, feel liquor companies will be more insulated during elections compared with beer makers. "Election related disruptions can affect the crucial summer season sales in 1QFY20. While United Spirits is also likely to be affected due to elections, the impact should be significantly lower as beer consumption is more skewed towards summers, unlike spirits," Krishnan Sambamoorthy and Vishal Punmiya, analysts at Motilal Oswal wrote in a recent investor note. Heineken Malaysia will be raising its product prices as a response to the ‘challenging environment’ in in country, despite reporting very positive results in its 2018 year-end financial report, BeverageDaily.com reported on March 20. The company said that it was being ‘cautious’ about moving forward, citing factors such as intense competition, the new Sales and Service Tax (SST) being implemented last September, and a continued contraband beer concern. “The external environment remains challenging,” Heineken Malaysia Managing Director Roland Bala said. Amongst these cost management actions is a hike in the company’s products, which it confirmed would be raised by a maximum of 5% by April 1. This was in response to increases in operational costs, which would include raw materials and packaging prices. Heineken Malaysia owns and operates many of the major beer and beverage brands in the country, including Heineken, Tiger, Guinness, Kirin and Kilkenny. That said, Heineken announced commendable results in its 2018 financial report, with revenue rising to RM2.03 bln from RM1.87 bln the previous year, a growth of 8.3%. Net profit also increased 4.6% to hit RM283 mln from RM270 mln in 2017. This was attributed to an ‘increase in sales volume, [previous] price adjustments on 15 April 2018, and the implementation of SST [last September]. “[We] remain focused on the sustainability of our business from barley to bar [and] continue to promote sustainable growth [via our people, brands and environmental conservation efforts],” said Bala. Heineken was not the only beer company to have raised its product prices in Malaysia in recent months. Last September also saw its main local competitor Carlsberg Malaysia raise prices by some 5.5% following the implementation of SST in the country. “We expect the implementation of SST to impact consumer spending on beer negatively,” Carlsberg Malaysia managing director Lars Lehmann previously told us. Contraband beer is a major issue within the Malaysian beer industry, and one that Heineken views as a ‘significant’ problem. “[The] illicit alcohol issue [causes] significant revenue loss to both Government and Industry,” added Bala. Gable X Cleaning Solutions Company Limited, located in Chaguanas (Trinidad and Tobago), has ordered its second blow moulding equipment from Sidel, the leading global provider of PET, can and glass solutions for liquid packaging. With the recently acquired Sidel blowing machine, the co-packer has significantly improved its production capacity, adding as much as 75% to its daily output of PET packaging. Alongside being fully equipped to meet the growing demand for PET packaged goods in the region, this choice enables Gable X to protect their competitiveness and guarantee a regular and reliable supply flow. Today, Gable X is one of the most advanced, innovative, custom packaging blow moulding players in the Caribbean. The company is active in three business segments: sale of raw materials, manufacturing of cleaning products, and blowing of PET bottles. 85% of the PET containers blown by Gable X serve various size manufacturing companies in the region, making them the first Trinidadian company to offer many local, regional, and even international customers lightweight bottles in PET. The co-packer is a leading supplier of PET bottles, producing 250,000 units daily, six days a week , with over 50 different formats and shapes. The company provides packaging for the food, beverage, agricultural and home care industries to hold products as diverse as pepper sauce, peanuts and grains, soy bean oil, fresh coconut water, milk drinks, fabric softener, hand soaps and disinfectant. The products are distributed in the domestic market but are also exported widely to the broader region. Gable X’s satisfaction around the first piece of Sidel blowing equipment installed in 2014 was reinforced by very strong recommendations from local bottlers. One of them, also a returning Sidel customer, decided to install a MatrixTM Combi for still water. The company chose the integrated blow-fill-cap solution from Sidel to increase their operating capacity. They were able to improve cost efficiencies and add new products, as such expanding their market reach, while better serving existing clients. James goes on to explain that one of the main challenges Gable X is facing is to facilitate PET adoption among their customers: “The key arguments I am using are that, by packaging their products in PET, they would get the transparency of glass, along with other benefits.” PET allows the consumer to visually experience the product inside the container, without scuffing and scratching the bottle’s surface. Additionally, the virtually endless design options for the PET bottle shape and format can also enhance the appeal and brand identity of the finished product on the supermarket shelf. The durability and rigidity of PET significantly reduces the possibility of damages throughout the value chain and the consumer experience is enhanced, as the packaged product is lighter and safer for the user to handle. “Multiple lightweighting opportunities around PET bottles also save on raw material and transportation costs. Making the long story short: PET is better because it is more durable, cost-effective, and recyclable as a packaging material,” he concludes. Based on the successful cooperation with Sidel, the Caribbean co-packer is again considering the company as a valuable partner in setting up additional installations to serve the heat-resistant PET packaging needs for hot-filled beverages. On March 22, Switzerland-based corvaglia group announced the completion of their first manufacturing facility in the United States, Newnan, Georgia. In celebration of this milestone, a ribbon cutting ceremony is planned for April 5th. The international company manufactures 100% recyclable plastic caps and closures for the food and beverage industry worldwide. The new U.S. facility will complement corvaglia’s existing operations in Eschlikon, Switzerland and Ixtlahuaca, Mexico. corvaglia’s business is dedicated to closure design as a vertically-integrated manufacturer and supplier of caps and closures for PET (polyethylene terephthalate) containers. We deliver exclusive expertise across the value chain. Founded in 1991, corvaglia customizes one-piece closure technologies that address the particular needs of its customers and the consumer. This end-to-end market approach is embodied in their slogan ‘Think, Shape, Make, Apply’. Around the world, corvaglia lightweight technologies are used in bottled waters, carbonated and non-carbonated soft drinks, isotonics, juices, teas, dairy and edible oils. The new U.S. facility utilizes corvaglia’s in-house proprietary moulds to manufacture lightweight one-piece caps and closures for the North American beverage market. Additionally, the corvaglia USA operation offers high-speed digital printing that provides unique short-run customization and branding opportunities. This Swiss-engineered digital technology provides 720 dpi high-resolution print quality using a single-pass CMYK process. Evergreen Packaging®, a global leader in fiber-based packaging solutions, released a white paper, “Trend Watchers Say the Topic of the Year for Food and Beverage Might Be ‘Plant-Based,’” based on data from the annual EcoFocus Trend Study, which forecasts key trends that will shape the U.S. food and beverage industries in the year ahead. The Study finds that plant-based food and beverage packaging is now on the minds of more than three quarters of consumers. Three out of four (76%) grocery shoppers in 2018 say they have heard or read about plant-based food or beverage packaging, and 62% want to learn more about it. Evergreen Packaging, which introduced its PlantCarton™ brand has identified a number of factors that food and beverage companies should be aware of as they package their products. Leading Dutch fruit drinks manufacturer Riedel has opted for SIGNATURE PACK from SIG to relaunch its popular CoolBest range of fruit juices. The aseptic carton pack made with polymers linked to plant-based renewable materials will help to strengthen Riedel’s ongoing sustainability pledge. The carbon footprint of SIGNATURE PACK Full Barrier is between 34% up to 60% lower (depending on format and country) than a standard SIG carton pack of the respective format, based on a life cycle assessment (CB-100733 of 01.03.2019) carried out by independent ifeu Institute in accordance with the relevant ISO standards (ISO 14040 and ISO 14044). Throughout a successful 20-year partnership, SIG and Riedel have worked together to deliver the perfect product and packaging solution to meet changing consumer needs, while at the same time reducing environmental impact. Riedel is the first juice manufacturer in the Netherlands to opt for the recently launched SIGNATURE PACK from SIG, bringing added value to the Dutch juice market and responding to the increasing environmental concerns and awareness of consumers. Both companies have set a clear mark for sustainability, through a close cooperation that will continue to innovate and deliver eco-conscious products and packaging for generations to come. The SIGNATURE PACK is one of the latest innovations supporting SIG’s Way Beyond Good ambitions to offer customers the most sustainable food packaging solutions and contribute more to society and the environment than it takes out. Tetra Pak launched the Tetra Classic® Aseptic 65ml Cube package, offering an efficient packaging solution for dairy, juice and liquid food. The package adds to the company’s Tetra Classic Aseptic family, the tetrahedron packages known for their minimal use of packaging materials. Compared to the traditional Tetra Classic Aseptic 65 ml packages, the new package requires less secondary packaging and needs approximately 40% less space to transport the same quantity of products. This means food can now be delivered safely over longer distances, at lower cost, and made available to consumers at an affordable price. Hemant Krashak, Product Director at Tetra Pak said, “With its robust food protection, minimal use of materials, and efficiency in distribution, the Tetra Classic Aseptic 65ml Cube package provides a simple answer to the rising need of environmentally sound packages while saving cost for manufacturers. Many customers with existing Tetra Classic Aseptic filling machines can easily switch to this new package with limited investment." The new package is now available with hand packing for secondary boxes. It has been in use since December 2018 at a customer in Southeast Asia selling coconut milk as a cooking ingredient in markets where logistics infrastructure is a challenge. From April 8th to 11th, SCHÄFER Container Systems is once again taking part in the Craft Brewers Conference (CBC), which is being hosted this year in Denver, Colorado. This time, the focus is on the ECO KEG, which has really proved itself internationally, and not just because of its reduced weight. At stand 9039 in the Colorado Convention Center, visitors will also be able to catch more than just a passing glimpse of all the other KEG types in the varied SCHÄFER portfolio. The reduction of material used has made the ECO KEG, with its volume range of five to 58 litres, up to 36 % lighter. Its coloured top and bottom rings are made of polypropylene (PP) and, with their shock absorber effect, prevent impact damage to the KEG, while at the same time offering significant new branding potential. ECO KEG not only gave birth to a new product family, but also created an impressive logistics benefit: the top and bottom rings enable much safer stacking and the weight reduction means about a 6 % increase in the volume of full KEGs that can be loaded into a standard 40-foot container. “The over 800 exhibitors and 13,000 visitors make the Craft Brewers Conference the industry’s biggest event in the USA. This exhibition, with its subsequent conference and events, is the only one serving both the brewing as well as the packaging industry. With our large portfolio of ECO KEGs, SUDEX stainless steel KEGs, PLUS KEGs and SOFTDRINK KEGs, as well as our great range of accessories and KEG services, we have something for almost every visitor”, says Guido Klinkhammer, Business Unit Sales Director at SCHÄFER Container Systems. Since March 1, Ute Panzer is the new Vice President Marketing and Communication at the international ENGEL Group, headquartered in Schwertberg, Austria. She is responsible for all marketing measures, campaigns, trade fair appearances and worldwide communications, and reports to Dr. Christoph Steger, CSO of the ENGEL Group. Ute Panzer (42) was previously head of marketing at a leading global technology company. The business administration graduate brings a total of 20 years of experience in industrial goods and technology marketing to her new position. “With Ute Panzer, we are delighted to have gained an internationally highly experienced marketing and communications expert for ENGEL who is firmly rooted in mechanical and plant engineering," says Christoph Steger. Prior to appointing a new VP of Marketing, ENGEL restructured its global marketing activities. The Strategy and Product Management divisions were migrated into independent units. Martin Streicher, who served as Vice President Global Marketing until September 2018 and was responsible for all three areas, will head up the Strategy and Corporate Development division and continue to expand it. Katharina Hochreiter had taken over as Head of Marketing in the interim. She also remains with ENGEL, taking on the role of Project Manager in Strategy and Corporate Development. Symrise AG took full advantage of its growth opportunities in 2018 and successfully overcame headwinds resulting from external factors. Taking into account portfolio and exchange rate effects, sales increased by 5.3 % to € 3,154 million (2017: € 2,996 million). On organic basis, sales growth even amounted to 8.8 %, exceeding the increased guidance issued in late fall. This outstanding performance was carried by all segments and regions. Despite targeted investments in increased capacity at locations in China and the USA and negative effects from exchange rates and raw material costs, Symrise retained its earnings power. The Group achieved earnings before interest, taxes, depreciation and amortization (EBITDA) of € 631 million (2017: € 630 million). With an EBITDA margin of 20.0 %, profitability remained healthy and within the target corridor of 19–22 %. "In 2018 we seamlessly continued our success story. Symrise again grew profitably and outperformed the market. We identified and successfully capitalized on growth opportunities in every business segment. We also invested in future growth and added to our capacity. Although we were not able to counteract all of the headwinds caused by high raw material prices and negative currency effects, we still operated with a healthy profitability. We want our shareholders to participate in this success. At the Annual General Meeting, the Executive Board and Supervisory Board will propose a dividend increase to € 0.90 per share for the fiscal year 2018," said Dr. Heinz-Jürgen Bertram, CEO of Symrise AG. "Despite the anticipated economic slowdown, we have made a confident start to the new fiscal year. We have substantiated our long-term ambition with the updated forecast. It extends into the year 2025 and provides for a strong increase in sales with further improved profitability." Symrise experienced strong demand across all segments and regions in 2018 and increased its sales to € 3,154 million (2017: € 2,996 million). The Group achieved strong organic growth of 8.8 %, exceeding the increased guidance announced in November, which indicated growth of over 8 %. In reporting currency, taking into account portfolio effects from the acquisitions of Cobell and Citratus and exchange rate effects, Group sales were up 5.3 % in the reporting period. Symrise experienced unfavorable exchange rate effects especially through the strong Euro in relation to the US-Dollar. Symrise again grew significantly faster than the relevant market for fragrances and flavors, where growth in 2018 was in the 3–4% range. The growth driver at regional level was once again Latin America with an outstanding double-digit organic growth rate of 16.2 %. Business in the EAME and North America regions developed also highly positively, with an organic increase of 6.4 % and 6.1 %, respectively. In the Asia/Pacific region, Symrise achieved strong organic sales growth of 12.4 %. Overall organic sales growth in the dynamically expanding Emerging Markets reached 11.7 %. In these fast-developing markets, Symrise generated 43 % of its total sales. Earnings before interest, taxes, depreciation and amortization (EBITDA) amounted to € 631 million (2017: € 630 million). EBITDA was thus on prior year level, despite investments in additional capacity and negative effects from volatile exchange rates and high raw material costs. Symrise, for example, invested in a new Nutrition site in the US state of Georgia and a new production facility for fragrances and flavors in Nantong, China, which is currently being built. The industry-wide shortage of raw materials, including the key raw material Citral, which already prevailed in 2017, intensified in the past fiscal year. However, thanks to its own raw material base and extensive backward integration, Symrise was able to meet supplier obligations at all times and in full throughout the year. In addition, the Group actively implemented price increases to compensate for higher raw material costs. Despite these challenges, Symrise maintained profitability at a solid level and achieved an EBITDA margin of 20.0 %. As a result, Symrise was once again one of the most profitable companies in the industry. Net income for the Group increased by 1.9 % to € 275 million (2017: € 270 million). Earnings per share increased from € 2.08 to € 2.12. The Executive Board and Supervisory Board will propose an increase in the dividend to € 0.90 per share for the fiscal year 2018 (2017: € 0.88) at the annual general meeting on 22 May 2019. Symrise grew its operating cash flow by € 46 million to € 442 million (2017: € 396 million). This represents an increase of 12 % and can be attributed primarily to a smaller increase in working capital during the year under review. Net debt including pension provisions and similar obligations decreased by € 29 million to € 1,893 million (2017: €1,922 million). The ratio of net debt including provisions for pensions and similar obligations to EBITDA remained unchanged at 3.0 (31 December 2017: 3.0). Due to the realized acquisitions, this value is temporarily above Symrise\'s target corridor of 2.0 to 2.5. With an equity ratio of 39.5 % at 31 December 2018 (31 December 2017: 37.8 %), Symrise sees itself financially very well positioned to sustainably advance the future development of its business. Scent & Care increased its sales to € 1,324 million and achieved very strong organic growth of 8.9 % (2017: € 1,263 million). In reporting currency, taking currency effects and the Citratus acquisition into account, the segment posted 4.8 % growth. The Cosmetic Ingredients division developed particularly dynamically with double-digit organic percentage growth. Strong impulses came in particular from the national markets of China, Brazil and Japan. The Aroma Molecules and Fragrances division also performed well. Demand was particularly strong for applications with menthol, for fine fragrances and personal care products. Scent & Care increased its EBITDA to € 254 million after € 248 million in the prior year period. The EBITDA margin was 19.2 % (2017: 19.6 %). The slight decline in the margin is mainly due to higher raw material costs, especially for perfumery raw materials. The Flavor segment experienced strong organic growth of 9.5 %, with sales increasing to € 1,191 million (2017: € 1,102 million). Taking currency effects into account and the portfolio effect from the Cobell acquisition, sales in the segment grew by 8.1 % in reporting currency. All regions and application areas contributed to this positive development. Flavor benefited in particular from strong demand in the EAME region, which achieved impressive double-digit growth. Growth was driven furthermore by applications for sweets and beverage products. EBITDA in the Flavor segment, at € 244 million, was slightly higher than the prior-year figure (2017: € 243 million). The EBITDA margin stood at 20.5 % (2017: 22.0 %) and was influenced by the currently still lower profitability of the Cobell business and higher raw material costs. Nutrition increased organic sales in the past fiscal year by 7.4 % to € 639 million (2017: € 631 million). In the reporting currency, including portfolio and currency effects, the segment grew by 1.2 %. The strongest impetus came from the Pet Food application area. The Food application area also performed well with double-digit growth. In the year under review, Nutrition achieved an EBITDA of € 132 million (2017: € 139 million). The decline in earnings compared with the previous year is attributable to two factors: Investments in the new Diana Food location in the USA and a lower contribution to earnings from Probi due to a temporary inventory decrease by a major customer in the first half of the year. Starting in the third quarter, order intake largely returned to normal. Despite these special effects, the EBITDA margin was a good 20.7 % (2017: 22.1 %). Symrise is looking ahead to the current fiscal year with confidence. The Group again aims to exceed the overall growth rates in the relevant market. The market is projected to grow at a rate of 3–4 % worldwide. In addition, Symrise is targeting an EBITDA margin of around 20 % despite the anticipated economic slowdown, ongoing volatility in exchange rates and a tight market for raw materials. Overall, with its global presence, diversified portfolio and broad client base, Symrise believes it is well positioned to achieve these goals. With strategic investments, the Company plans to continue its expansion in high-growth, high-margin business segments. Against the background of the tense situation on the raw material markets, the expansion of its own backward integration will continue to play a key role in the future. In addition, long-term contracts and close cooperation with producers will secure Symrise\'s access to high-quality raw materials. At the Capital Markets Day in January 2019, Symrise presented its long-term targets. They underscore the Group\'s ambition and now extend to the end of fiscal year 2025. By then, Symrise aims to increase sales to around € 5.5 to 6.0 billion. This increase is to be achieved through annual organic growth of 5 to 7 % (CAGR) and additional targeted acquisitions. Profitability is expected to improve further. Long-term, Symrise aims to achieve an EBITDA margin within the target corridor of 20 to 23 %. To this end, the Group will continue to systematically implement its proven strategy and closely align innovations to customer and market requirements. Furthermore, Symrise will continue to take advantage of megatrends. In addition to the traditional business with flavors and fragrances, the expansion of the portfolio will increasingly focus on adjacent, high-margin applications. For example, Symrise intends to open up growth areas, with focus on natural, sustainable product solutions. Digital business processes should also contribute to growth and profitability. For the third year in a row aluminium foil deliveries from European rollers ended the year by reaching a new record, with an uplift overall of 3% compared to 2017. This was due largely to sustained demand from overseas markets as well as steady consumption in domestic markets, particularly for thinner gauges, according to figures released by the European Aluminium Foil Association (EAFA). Overall deliveries were 942,500 tonnes against just over 915,000 tonnes the year before. Thinner gauge foils, used mainly for flexible packaging and household foils added 4.1% year on year, while thicker gauges, used typically for semi-rigid containers and technical applications, rose by 1.1% annually. Total domestic deliveries were stable in this period, while exports continued the trend seen throughout 2018 with an increase of more than 25% overall. The last quarter of 2018 continued to show the strong performance seen in Q3 with a total increase in output of 2.8% (228,200t vs 222,000t). While domestic deliveries remained stable, exports again lead the way with a tremendous increase of 27% compared to the last three months of 2017. Thinner gauges added 2.2% in this period, while thicker gauges improved by 3.9%. “European foil rollers continue to see more upside influences in the market and maintain a positive outlook. The USA trade actions do have a direct influence on the foil sector, so any changes in that situation will have a bearing on the year ahead,” he added. “The current debate about circular economy can create opportunities for our sector, given that aluminium is a fully recyclable material,” explained Mr Rea. Aluminium foil characteristics are strength, formability and barrier properties which have made it an essential part of many flexible packaging and container applications. Other uses of aluminium foil include automotive and heat exchange components, insulation material and many industrial applications. Evergreen Packaging Equipment has introduced the world’s fastest half-gallon gable top packaging machine. Designed for high production capacity, the NEW EH-210 can handle fill volumes of 40 oz up to half-gallon/2 liter, at speeds up to 12,600 cph (cartons per hour) with a single index top down fill system. Servo driven technology provides repeatable package performance and automatically controls fill volumes and profiles based on product and carton size. Infinite fill adjustments allow for less downtime with quick and easy changes to fill volume and carton height via the touchscreen. EH-210. SKU programming handles up to 200 unique ID’s. ELL® (Extended Long Life) components include a self-contained CIP/SIP system, environmental control features, carton decontamination and a hermetic filling system to maintain product quality. An auto sanitize system is standard to keep product contact surfaces free from harmful microorganisms. An optional ergonomic infeed provides operator comfort and ease of loading. An optional SPOUT-PAK® System is available to enhance consumer convenience and preserve product freshness. As with all Evergreen Packaging gable top machines, the EH-210 is backed by 24/7 OEM parts and service to meet customer needs. Dr. Johannes-Thomas Grobe is to be the new head of Sales and Service at KHS GmbH. This has now been confirmed by the company’s supervisory board. The 53-year-old shall be moving from Dürr Systems AG, a machine and systems manufacturer for the automobile industry, to the Dortmund systems supplier. Dr. Grobe joins chairman Kai Acker and Martin Resch on the KHS Executive Management Board. The restructuring of the KHS Executive Management Board is now complete. “We’re very pleased to have gained a proven expert and leader for our company in Dr. Grobe. He brings with him a wealth of industrial experience gleaned during his professional career,” says Acker, chairman of KHS’ Executive Management Board. Dr. Grobe has extensive knowledge as an executive manager of product and technological developments, innovative projects and production and manufacturing processes. Fillbee returnable beverage pack is captivating the attention of the beverage industry and putting reusability at the heart of circular economy. Fillbee, a ‘zero waste’ returnable beverage pack for 4 or 6 bottles was designed to eliminate wrapping packaging for beverages, promote the reuse of bottles and improve the collection rate of cans. The retail-ready packaging encourages ease of reuse for consumers, as Fillbee is easy to stack, store, take home and return the bottles to the store. The sustainable durable material of the pack lasts for years and can be fully recycled after its useful long life. The packaging is made of one single material, so the baskets and the labels can be recycled together without the need of sorting. Thanks to the protective packaging, refillable bottles can last up to 50 return trips. The World Food Innovation Awards are designed to recognize and celebrate excellence and innovation of concept across every category of the global food industry. This year the grand winners will be revealed at a special ceremony at the International Food & Drink Event (IFE) on the 18th March 2019 in London. Two Dutch beer brands - Heineken and Bavaria - are actively promoting non-alcoholic malt beverages to secure growth amid the declining beer market in Thailand as consumers become more health-conscious, the Bangkok Post reported on March 7. On March 6, both brands announced business plans to promote non-alcoholic malt beverages in Thailand's 180-billion-baht beer market, offering health-conscious consumers an option as they try to moderate their alcohol intake. Maud Meijboom-van Wel, brand development and communication director for Heineken, said the company is launching "Heineken 0.0" in the Thai market in mid-March as it addresses the growing cultural trend of living a balanced lifestyle. Non-alcoholic malt beverage is a category Thais may not be familiar with, given the market for malt drinks is very niche in Asia. However, the company has seen an upward trend in consumption of low-alcohol drinks, said Ms van Wel. Heineken 0.0 was introduced in 2017 in the Netherlands, Spain and Germany, followed by the UK and France. The drink is available in 38 markets around the world, including Europe, North America, and Australia. Last year it was launched in Singapore, the first country the drink was sold in Asia. "Heineken 0.0 was developed to meet the changing needs of consumers and respond to growing consumer trends in moderate alcohol consumption. We have seen strong growth in the non-alcoholic malt drink segment in Europe and Russia, which grew about 5% annually in 2010-15," she said. Ms van Wel said the new non-alcoholic malt beverage is made with natural ingredients and no sugar. The product targets consumers over 20 years old who enjoy the taste of beer, but not necessarily the effects of alcohol at certain moments in the day, including professionals, active parents, and health-conscious people. Achava Mahamongkol, managing director of Captain Barrel, the distributor of Bavaria, said Thailand's beer industry has been hit by poor consumption levels. The company found an opportunity in growing the premium beer segment, which is 6% of the 180-billion-baht beer industry. Bavaria introduced its product to the Thai market seven years ago and plans to actively promote it this year after non-alcoholic beer has become more popular. Picture: Bottle formats, From 0.25 to one liter: Peterstaler uses various bottle formats – and for many decades now has relied on KHS technology to fill them all. In 2015 the mineral water bottling plant procured a new glass line from the Dortmund systems supplier, among other things. To date KHS has developed over 14,000 PET bottle and 7,000 preform designs under the auspices of its Bottles & Shapes™ program. The systems supplier has now expanded its holistic expert consultancy program for container design to include glass bottles and cans. Fast, reliable, inline format changeovers in particular are a major factor for bottlers. KHS assures just this when new products are launched, with Peterstaler Mineralquellen GmbH from Bad Peterstal-Griesbach in the Black Forest now also convinced of this fact. After investing in a new glass bottle line in 2015 the company recently decided to launch new glass bottles for its mineral water. The machine manufacturer from Dortmund was once again largely instrumental in the success of the project. This particular project in the Black Forest was approached from a different angle; where KHS cooperates closely with its customers on the development of new PET bottles, in the glass container segment the design was already fixed. Here, Peterstaler had decided to deploy a new glass bottle developed by the Society of German Mineral Water Producers (Genossenschaft Deutscher Brunnen or GDB). “There’s a definite move back to glass, with the amount used on the increase in the mineral water industry especially,” says Wolfgang Sum, engineering manager at Peterstaler Mineralbrunnen. “Closer attention is again being paid to quality, value and the regional aspect. Because of the greater weight of transportation and the higher costs this incurs, bottling in glass only pays off for deliveries within a 200-kilometer radius of our plant.” This was another reason for expanding the company portfolio. When launching the new bottle format the chief focus was on the wants and needs of the consumer. “There are an increasing number of single households, for example, and lots of people don’t want to have to drag heavy crates around anymore,” claims Sum. To reach out to this target group Peterstaler decided to fill its products into new containers known as GBD pool bottles , a one-liter bottle in crates of six for people living on their own. “This type of crate is practical and easy to carry and transport,” Sum affirms. The mineral water bottling plant also fills 0.5- and 0.7-liter bottles. In 2015 Peterstaler invested in a new glass line from the Dortmund systems supplier. The desire for new bottle formats again involved the experts from KHS in the fall of 2017 who implemented the project within the context of its holistic Bottles & Shapes™ consultancy program. “In this case this meant adapting the finished bottle to the line and converting this so that the filled crates of water find their way to the supermarket shelf without a hitch,” explains Armin Wille, head of Service Sales at KHS. Making use of the new bottles meant that the entire line had to be readjusted – from the decrater and bottle conveying system through the filler to the labeler and crater. The first bottle was then filled in the spring of 2018. Besides adapting the hardware KHS also reprogrammed the software for the whole system so that conversions are now possible at the proverbial press of a button within a very short time indeed. “The operator now intervenes as little as possible and knows exactly what he or she has to do to ensure that the filling result is always the same in the end. We attached great importance to this,” Sum states. For example, at the moment the changeover time from the last 0.7-liter bottle to the first one-liter bottle leaving the labeler amounts to around 45 minutes. Peterstaler was also convinced by the sustainability of the KHS line. “Our prime source of heat for the bottle washer is still fueled by oil. We’re saving up to 35% here, for instance, and need less fresh water, thus producing less wastewater. Our electricity consumption has also been cut by up to 55%. A lot’s been achieved,” he smiles. Alongside fast changeovers and low energy consumption service and maintenance also play a major role for Peterstaler. “So many things hinge on the people. When we signed the contract for the system back then, I said that we’re now entering into a new partnership,” says Sum. Peterstaler is also totally satisfied with this partnership, he stresses. “In the coming year I’ll have been with the company for 30 years. When I joined, machines from KHS were already in use. That just about says it all.” The mineral water bottler not only operates Dortmund plant engineering on its glass line but also to stretch blow mold its PET bottles – here again relying on the proven Bottles and Shapes™ program. “We designed our first PET bottle together in 2004,” Wille tells us. Over the years KHS has continued to develop these containers for Peterstaler. “Here, through lightweighting we’ve been able to make considerable savings in the amount of materials used by the customer and thus also in costs,” Wille emphasizes. 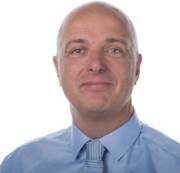 The Board of Directors of Vetropack Holding Ltd has appointed Evan Williams (photo) as the new Group-wide Head of Marketing, Sales and Production Planning with effect from 1 June 2019. He will also become a member of the Management Board. Evan Williams, aged 52, holds a Bsc Honours graduate in business administration and applied psychology at Aston University in Birmingham UK. Born in the UK, Williams also holds an Executive MBA from Ashridge Hult International Business School. A strong negotiator, over the past 25 years, his professional focus has been glass packaging: working for O-I Europe, he headed up the marketing and sales areas across various regions and categories. His most recent position saw him assume responsibility for global cross-functional key account teams. Williams adopts a strategic and target-oriented approach and is well acquainted with the area of production planning. Marcello Montisci, the current Head of Marketing, Sales and Production Planning, has already reduced his employment level by 50 percent at the end of February. Prior to his well-deserved retirement at the end of 2019, he will continue to be available to Vetropack Group for special projects. Kenya Breweries Limited (KBL) has ventured into the premium alcoholic beverage market with the launch of a new ale as it seeks to grow beer sales and woo the middle-class segment, the Daily Nation reported on March 13. The firm has launched Tusker Premium Ale, which it says is made from aromatic hops and crystal malt. The move is part of East African Breweries Ltd – KBL’s parent company — bid to counter consumers’ increasing shift to premium and foreign brews from mass-market brands. The beer is being sold in a stubby 500-mililitre bottle at a recommended retail price of Sh210. KBL senior innovations manager Victor Kagema told Business Daily the new product is targeting Kenya’s fast-expanding middle class revellers whose tastes are trending toward premium beer. “It is positioned for that consumer with discerning taste,” said Mr Kagema in an interview. “The Tusker Premium Ale is brewed with specialty hops providing a richer mouth feel, colour and flavour,” said KBL master brewer Valentine Wambui. It marks the expansion of KBL’s flagship Tusker brand that includes Tusker Lager, Tusker Malt, Tusker Lite and Tusker Cider. EABL has in the past few years introduced alcoholic brands in the region, seeking to grow and diversify its product portfolio by targeting different consumer segments at a time competition from foreign brewers has intensified in the premium and super premium segments, which have experienced strong growth and retained attractive profit margins. Ursus Breweries, the biggest beer producer in Romania, is launching Ursus Tank, the unpasteurized fresh beer which, through a new technology in Romania, is delivered in a very short time directly from the factory, the Business Review reported on March 6. The beer arrives in the 24-hour factory at the selected partner locations (pubs, bars, restaurants) where beer tanks are installed and can thus provide customers with a non-pasteurized and freshly-produced Ursus Tank beer. “This innovation brought by Ursus Breweries on the beer market in Romania allows us to put the essence of beer to its full potential: that “subtle” thing, quite difficult to describe but easy to recognize, called “freshness of taste”. How is this possible with your tank beer? Clear, freshly filtered and unpasteurized beer is transferred from the factory production line directly to the consumer locations via mobile tanks specifically developed for this transfer. Once in tanks in locations, beer is ready for consumption. It is kept carefully up to the moment of service, and the tanks in the locations are equipped with a technology that allows optimal temperature maintenance. The beer is optimally preserved and shielded from light all the way, from the “hidden tap” in the factory to the consumer’s glass, it is a beer that offers maximum freshness of taste. Adding that our beer to the tank has a short shelf life of less than a month, we understand that we can speak of simple and authentic freshness,” says Sabina Luca, Process & Product Quality manager. Ursus Tank is available only in selected locations in the Horeca segment in Bucharest, including: Biutiful, Beert and Draft Pub, but also in Buzau – O Brothers, Constanta – Library, Craiova – Downtown and Targoviste – Towers. Ursus Breweries is the largest beer producer in Romania. The brands of Ursus Breweries are: URSUS, Timişoreana, Ciucas, Peroni Nastro Azzurro, Asahi Super Dry, Pilsner Urquell, Grolsch, St. Stefanus, Azure Unpasteurised, Oak and Kingswood Cider. In the past five years, craft beer has gone from a niche interest to one of the fast moving consumer goods (FMCG) industry’s most profitable sectors. Beer may be in maturation, but a craft beer reinvention that’s packed with flavor, clever branding, and premium appeal has helped to boost sales around the world, and give the alcohol industry food for thought, Best in AU reported on March 5. Typically brewed by independent and traditional brewers, the global craft beer market is now worth an eye-watering US$38,183 million and expected to grow at a compound annual rate of 14.1% between 2019 and 2023. As such, brewers around the world are increasing their distribution networks, investing in marketing and entering into new territories to sell their beer worldwide, with Europe, the United Kingdom, Australia, and the United States key drinkers. With consumers happy to pay a premium for craft beer for its exotic or unusual flavour and unique branding, firms are tapping into lucrative markets with large middle classes, willing to splash the cash on a delicious drink. One of those markets is Latin America, with a range of trade agreements, growing demand and experience making it a favourite amongst exporters. Around the world, businesses and governments are working hard to strengthen ties and reduce their barriers to trade, in a bid to grow their economies and fuel job creation. One example of that is Australia, a country that sits in a unique geographic position, increasing its reliance on foreign trade with countries around the world – and it’s great news for craft beer. The Australian craft beer market is expected to reach more than US$525.3 billion by 2025, a figure that will grow by more than five times from 2016 when figures put the market closer to US$101.8 billion. Indeed, the sector is expected to grow more than 20% every year for the next six years, with Australian breweries increasing their penetration in markets such as South Africa and New Zealand, and with many smart Australian entrepreneurs turning to LATAM markets like Brazil and Colombia, significant revenue streams can be unlocked. The Brazilian middle class is thought to be made up of more than 113 million people – that’s up 40 percent since 2003, a sign of the territory’s prosperity and propensity for growth. Some entrepreneurs may struggle to tackle complex foreign markets, but with localisation and the right market strategy, penetrating Latin America is easier than it may appear at first glance. The future of Australian and Latin American trade looks set to be bright, too, with free trade agreements and partnerships in place to stimulate growth between the two nations. Craft beer firms can capitalise on the Peru-Australia Free Trade (PAFTA) agreement, unlocking open and fair trade between the two countries. PAFTA means that Peru will eliminate 99.4 percent of its tariffs on both imported and exported goods, forging the way for transpacific ties that bring the two countries together. When you consider that Peru is one of the world’s fastest-growing economies with a GDP of US$211.4 billion and that the country’s middle class is formed by 60% of the population, significant opportunities await for businesses with the right market proposition. Add that to Peru’s thriving beer market. Flanders Investment & Trade Peru reports that the Peruvian craft beer industry grew an estimated 50% in 2016, mostly because of increased interest, demand in global craft beer varieties, and cultural heritage beer has for the Peruvians. Significant opportunities await for businesses looking to enter into the market, and the importation of foreign craft beers in Peru is at an all-time high. Of course, breweries and investors expanding into foreign markets must be aware of the potential challenges. The craft beer industry in Peru, for example, is pushing the government to change an excise tax scheme. Breweries are campaigning for a reduction in excise tax if they produce less than 34,000 barrels of beer per year, something that would cut costs on local craft beer – something to bear in mind if you’re looking to manufacture beer in Peru. An incredible two-thirds of all imported beers in the United States comes from Mexico, with the Latin American country a powerhouse when it comes to alcohol production. Indeed, the country is the world’s largest beer producer in the world, exporting traditional and craft beers around the globe, and responsible for 55,000 direct jobs, and another 2.5 million indirectly. In today’s globalised times, businesses and investors are turning to the country’s beverage industry not only to take advantage of its manufacturing expertise and low labour costs (the average salary in Mexico is US$15,000, but often much lower in manual labour roles), but also because Mexico is a high beverage consumption population, has a young population (more than half of citizens are under 35) and microbreweries and liquor stores are available in abundance, offering endless potential to sell foreign craft beers at a premium price point. What’s more, Mexico offers access to more than 50 free trade agreements with various countries, including the United States, The European Union, Asian countries like Singapore and Vietnam, and Latin American nations such as Chile, Uruguay, Peru, Panama, and Colombia, making it the number one spot for exports and trade. Importing craft beer into Mexico makes sound sense, and will no doubt be the most popular entry path in the coming years for startup and growing craft beer brands and microbreweries, and indeed investors wanting to grab a slice of the highly lucrative (and ever so tasty!) global craft beer market. Retailers should site the newly-rebranded Carlsberg alongside more premium lagers, as the supplier takes measures to challenge the perception that the brew is an “old man’s beer”, betterRetailing reported on March 5. Speaking at the re-launch of the brand in London, Liam Newton, vice president of marketing at Carlsberg, said it wanted to stop consumers comparing it to brands like Carling and Foster's, and instead see it on the same level as Amstel and Coors Light. To achieve this, for the first time in over 20 years, it has changed the recipe and relaunched as Carlsberg Pilsner with an ABV of 3.8%. “We acknowledge the fact that over the years, we have slipped in maintaining the best quality,” he admitted, adding: “The standard lager category has been a tough place to trade in, so to boost sales, we had to make the brew and packaging more appealing. Lynsey Woods, the company’s director of marketing, said in addition to the reformulation, it is introducing a new stem glass, which will be available to independent retailers in the coming months. The rebrand also hopes to recruit more female drinkers to the category, making the brand “more unisex”, and will continue to sponsor Live Nation festivals, such as Latitude and Glastonbury. For independents who are located near festivals, Newton added it would support them by providing category and merchandising advice in the run up. Hite Jinro said on March 13 it will release its first new lager brand in six years next week, the Korea Times reported. The sub-brand dubbed Terra will hit domestic store shelves on March 21. The product is designed to provide a more "refreshing taste" compared to other beers already on the market. Fine dust concentration in Korea has caused rising consumer demand for light, pure tastes in beer, according to Hite Jinro. Terra will be marketed toward customers interested in health and wellness. Beer contains carbonic acid that forms naturally during the fermentation process. At a press conference for unveiling Terra, CEO and President Kim In-kyu said the blonde lager brand will sharpen Hite Jinro's brand identity and restore its profitability. "For the last few years, we were hurt by consumers' changing tastes and elevated competition with foreign beer competitors," Kim said. "The teams have worked intensively on creating Terra to revive the sales and attract customers back." Hite Jinro, whose flagship brands include Hite beer and Chamisul Soju, said the new product has a soft, delicate maltiness with 4.6 percent alcohol content. The product, priced the same as conventional beer, will be sold in green bottles to promote a more refreshing, pure brand image. The company added a twirl design on the bottle with an aim to make a splash in the beer industry. "We tried to generate the best-tasting, highest-quality beer by differentiating every aspect ― from brew style to packaging," said Oh Sung-tak, marketing director of Hite Jinro. "Our target audiences would be men and women from the age of 19, but our prime target is millennials who have clear consumption habits and can generate buzz." More than one third of Slovaks (38 percent) tend to call themselves beer-drinkers instead of wine-drinkers (26 percent). The most popular is 10 percent bale beer but non-alcoholic beer and radlers are gaining popularity, as the research for the Slovak Association of Beer and Malt Producers showed. Slovaks mainly drink beer containing alcohol. About 72 percent drink it at least once a week, more men (86 percent) than women (58 percent). The research also showed that Slovaks prefer draught beer (44 percent) and pale 10-degree beer (44 percent). Women prefer small draught beer (45 percent) more and more than three-fourths of men drink draught beer (84 percent). In addition to pale beer (36 percent) women like non-alcoholic beer (37 percent). Slovak favourites also include radler, flavoured beers and non-alcoholic beer. About 56 percent of Slovaks drink flavoured beers and radlers at least once a week (60 percent of women and 51 percent of men) and 51 percent Slovaks drink non-alcoholic beer, more women (58 percent) than men (43 percent). About 38 percent of Slovaks consider themselves to be beer drinkers more than wine drinkers (26 percent). About 16 percent of respondents do not consider themselves beer or wine drinkers, and 20 percent do not consume beer or wine. The average Slovak drinks 72 litres of beer a year, which amounts to 144 so-called large beers. “The increase of beer consumption could also be due to the drinking of non-alcoholic beer and radlers,” said Jana Shepperd, president of the Slovak Association of Beer and Malt Producers, as quoted by the TASR newswire. “These variants of beer are becoming a more frequent alternative for those who drive or do sports,” she added for TASR. The vast majority of beer drinkers in the UK don’t believe that large-scale producers like AB InBev can make craft beer, according to a survey by the Society of Independent Brewers (SIBA). The report, which said that 98% of consumers think a beer brewed by any major brewer can’t be considered craft, casts doubt on the marketing of smaller breweries that have been bought by or received investment from large-scale firms in recent years. Some 43% of the survey’s respondents said that a craft beer could only be made by a small brewery, while 42% said a craft brewer must be independent. This figure is actually down from 46% in a similar survey SIBA carried out in 2017. SIBA’s craft beer report focused on the prevalence of large brewers either launching their own “crafty” products, such as Guinness’ Hop House 13 lager, or buying up smaller producers as more consumers shift away from mainstream lagers. The integrity of the craft beer movement is a highly emotive subject within the brewing industry. Last summer, north London brewery Beavertown sold a 49% stake in its business to Heineken for £40 million, which would go towards a new state-of-the-art brewing facility as well as securing a brewpub at Tottenham Hotspur Stadium, a first for any independent brewery. After announcing the deal, several bottle shops decided to stop selling Beavertown’s beers, while other breweries also pulled out of the London producer’s upcoming beer festival, Beavertown Extravaganza. “People are used to buying beers from across the UK in their favourite pub, bar or retailer, and for them it is the size and independence of that brewery which defines whether or not it is a craft beer.” Mike Benner, SIBA’s chief executive, said. The survey, which was carried out last month, found that just 2% of consumers surveyed said that craft beer could be made by a global brewer. Almost half of UK drinkers said they now prefer craft beer to mainstream lagers an ales in a survey carried out by Brewhouse & Kitchen in October last year, but depending on where they work, industry insiders have very different ideas on what it means to be “craft”. “SIBA launched the ‘Assured Independent British Craft Brewer’ seal asa way of differentiating beer from truly independent craft brewers from the mass produced products of global brands – many of which are now being marketed as craft,” Benner said. In the US, the Brewer’s Association launched its own seal of independence in 2017. A string of independent brewing trade associations across Europe fighting back with their own independence brewers seals alongside SIBA, the UK industry body said. United Breweries Ltd (UBL) is looking to bolster its non-alcoholic beverages segment, following the footsteps of its 44 per cent owner Heineken which plans to earn 10 per cent of its portfolio revenue from non-alcoholic drinks by 2025, The Hindu BusinessLine reported on March 13. As part of the plan, UBL will launch Heineken 0.0, a non-alcoholic beer by month-end. This is its second product in the segment. The company, however, hasn’t yet worked out a fixed target for its non-alcoholic beverages segment, like Heineken. UBL ventured into the non-alcoholic beverages segment with Kingfisher Radler in last October. Both Kingfisher Radler and Henieken 0.0 come under this segment — the former is a soft drink and the latter non-alcoholic beer. Both are pegged as premium products and healthy alternatives to products currently in the market, said Visvanathan. Heineken 0.0 is made in the Netherlands and is available in 40 countries. The product will be imported into India and will initially be launched in Delhi, Mumbai, Hyderabad, Bengaluru and Ahmedabad, with the focus markets being metros, Ramesh Visvanathan, Chief New Business Officer, UBL, told BusinessLine. Heineken 0.0 is pegged as a premium product and is priced at ₹70 for 300 ml .Kingfisher Radler costs ₹45 per 300 ml. While Radler is a 100 per cent natural, flavoured soft drink, with 30 per cent less sugar than in carbonated soft drinks, Heineken 0.0 is a non-alcoholic beer. It is pegged more as a niche product, which is also 100 per cent natural and has 60 per cent less sugar than carbonated soft drinks, Visvanathan said. The rising trend of consumers’ preference for healthier options considering high levels of sugar and artificial ingredients in carbonated soft drinks is one major reason for tapping the non-alcoholic beverages segment. The second trend that UBL is banking on is that consumers are showing a readiness to upgrade to better offerings. “Our strategy of expanding our consumer base fits into these trends and we are able to offer consumers a significant value through our products to meet these need gaps,” said Visvanathan. When asked about the challenges of tapping the non-alcoholic beverages segment, considering that it catered to the alcobev market only previously, he said the biggest challenge is distribution. “The challenge for us with this product portfolio is to go beyond that into supermarkets, regular stores, beverage outlets, etc. We have had to set up a completely parallel and different distribution network in order to place this product where the consumer is likely to go and buy,” he said. The other challenge is in marketing these products as UBL is venturing into an altogether new category, with the communication that is required with the consumers also being different. The ENGEL e-cap stands for maximum efficiency combined with the best-in-class product quality. At Plastimagen 2019 from 2nd to 5th April in Mexico City, the all-electric injection moulding machine will be demonstrating its high performance under genuine production conditions. An e-cap 740/160 with 1,600 kN clamping force will be producing 28 mm PCO 1881 caps for carbonated soft drinks (CSD). Another focus of the ENGEL trade fair stand in hall D is the new opportunities that digitalisation and networking are opening up for plastics processors and how they can be easily leveraged. Photo: Maximum output with minimum energy consumption: the all-electric e-cap injection moulding machine will be producing 28 mm caps at Plastimagen 2019. Available with clamping forces from 1,100 to 4,200 kN, the ENGEL e-cap is the only cap machine on the market providing all-electric operation in the high clamping force range. This makes it the most energy-efficient machine in its class at the same time. A 24-cavity mould by Austrian mould maker HTW will be used at the Plastimagen. The processed material is a PEHD by Borealis (Vienna, Austria) at a shot weight of 2 grams per cavity. The peripheral units on display will include a dry air system by Eisbär (Austria). "By precisely matching the injection moulding machine, the material, the mould and the peripheral systems from the outset, we can leverage efficiency potentials to a maximum and further reduce energy consumption," as the Managing Director of ENGEL de Mexico in Querétaro, Peter Auinger, points out. The injection moulding machine manufacturer and system solutions provider, ENGEL, headquartered in Austria, delivers fully-integrated and automated manufacturing cells from a single source, worldwide. This also increases efficiency in project planning and after-sales service. "Our customers have just one central contact," Auinger explains. "As the general contractor, we have the overall responsibility, also for system components that we implement in collaboration with partners." ENGEL has adapted the e-cap series specifically to the requirements of beverage cap production. The high-performance machine achieves particularly short cycle times for the individual cap types. At less than 2 seconds, the shortest cycle times are achieved in the manufacture of lightweight caps for still water. For CSD caps, cycle times vary depending on the cap type. At Plastimagen, the e-cap will achieve a cycle time of 3.7 seconds for 28 mm PCO 1881 caps. In addition to energy efficiency and productivity, precision and process stability are decisive factors when selecting a cap machine. “Caps have reached their lightweighting minimum in terms of geometry," says Auinger. "This means that they place higher requirements than ever in terms of the injection moulding machine's precision and repeatability." High-performance servo direct drives are responsible for the outstanding process stability of the e-cap injection moulding machine. They ensure the required plasticising capacity and the highest possible number of good parts even when high-strength HDPE materials are used with an MFI of below 1 g/10 min. inject 4.0 is the second focus at the ENGEL stand in Mexico City. "Our customers are increasingly leveraging the potential of digitalisation and connectivity," as Auinger reports. There is great demand for intelligent assistance systems that enable the injection moulding machine to continuously self-optimise during the on-going process. iQ weight control, for example, analyses the pressure profile during injection and compares the measured values with a reference cycle. The injection profile, switchover point and the holding pressure profile are adjusted to the current conditions for each individual shot, which keeps the injected volume constant during the entire production run. Fluctuations in the raw material and ambient conditions are thus compensated for before rejects are produced. "iQ assistance systems are often the first step on the way to becoming a smart factory," says Auinger. "The modular structure of the inject 4.0 program makes it easy to get started with individual, smaller solutions and then build on this to further develop the digitalisation strategy in line with needs." Other assistance systems that ENGEL will be presenting in Expert Corners during the fair are iQ clamp control for automatic determination of the optimum clamping force and iQ flow control for dynamically controlled multiple-circuit temperature control. The challenge in maintaining and servicing injection moulding machines is to guarantee high availability while at the same time reducing costs. And again inject 4.0 opens up new opportunities for this. The e-connect.monitor condition monitoring solution makes it possible to check the condition of process-critical machine components during operation and reliably predict their remaining service life. In this way, unplanned downtimes can be avoided and the working life of the components fully utilised. Four modules are currently available, for plasticising screws, ball screws in high-performance electric machines such as the ENGEL e-cap, fixed displacement pumps in servo-hydraulic injection moulding machines and for hydraulic oil. All ENGEL service products – in addition to e-connect.monitor, for example, e-connect.24 for 24/7 online support – are integrated into ENGEL's e-connect customer portal. At any time and anywhere, it provides an overview of the machine status, the condition of the monitored machine components, the processing status of service and support orders and the prices and availability of spare parts. In this way, the portal simplifies and accelerates communication between processors and the supplier, ENGEL. The associated app keeps the plant operator up to date, even if they are currently at a completely different location. At Plastimagen, ENGEL will also be presenting smart connectivity solutions for linking injection moulding machines and production cells within the enterprise. TIG authentig, the MES (Manufacturing Execution System) by ENGEL subsidiary TIG (Rankweil, Austria) is tailored to the specific requirements of the injection moulding industry down to the last detail. It ensures transparency in order to, for example, utilise the total capacity of the machines or correlate productivity indicators and economic objectives. The new products that TIG will be presenting in Mexico include the TIG 2go dashboard solution, which is particularly suitable for entering the MES world, and the TIG big data high-performance analysis platform for networking machinery around the globe in a central cockpit. ENGEL opened its own sales and service subsidiary in Mexico in 1996. In 2010, the Mexico City facility relocated to Querétaro and was substantially extended in the process. In Central Mexico ENGEL has its own technical centre and spare parts warehouse. To further reinforce customer proximity, ENGEL is opening a second location in the Monterrey region in the north of the country at the end of February 2019. All told, ENGEL employs some 70 staff in Mexico. For the fourth time, from 19 to 21 February 2019, Beviale Moscow offered players from the Eastern European beverage industry a central platform at Moscow’s Crocus Expo. The around 6,200 trade visitors (some 5,300 in 2018) from 47 countries were in good spirits and showed a keen interest in the 164 exhibitors (146 in 2018). The trade fair for the beverage industry pursues a holistic approach and covers the entire process chain from manufacture to marketing. This year it was bigger than ever. Following the successful event, Thimo Holst, Project Manager Beviale Moscow, voiced his satisfaction with the KPIs: “With this fourth round, Beviale Moscow has once again taken a significant step forward. It has grown even more and is bigger than ever this year!” But it is not just the size that matters. “We are delighted that despite the somewhat more difficult market conditions, more and more exhibitors are recognising and wanting to tap into the significant, undisputed potential of the Russian and Eastern European beverage industry.” This was also reflected in the many exhibition stands displaying numerous exhibits and in some cases large installations. “The good mood at the venue underscores the positive and connective nature of Beviale Moscow,” adds Holst. Some 97 percent of the exhibitors polled were satisfied with their participation in the event. tradition on the first day of the fair. 80 breweries entered 300 different beers into the competition, that is almost twice as many as in the previous year. www.rosglavpivo.com. The established CRAFT DRINKS CORNER, which partnered once again this year with the Association of Beer and Beverage Market to showcase the diversity of hand-crafted beverages, was well frequented. Visitors were able to taste the latest types of beer from 20 breweries and also learned about the special features of each brewing process and the manufacture of craft drinks in general. The three-day VLB Seminar for Microbrewers, which is organised by VLB, the Berlin-based teaching and training institute for brewing and took place parallel to the trade fair for the fourth time, also focused on hand-crafted beer and specific technological and qualitative aspects of the brewing process. From suitable raw ingredients and custom technologies to efficient packaging, logistics or creative marketing ideas: with its holistic approach, the trade fair offers solutions for all segments. For example, at the Pavilion for Wine Production & Manufacturing, various wineries provided insights into cultivation, production, bottling and marketing. Each day, a different Russian wine region took centre stage: the Taman peninsula, Crimea, Dagestan. The Pavilion was organised in partnership with leading players in the Russian wine market: Union of Russian Winemakers, Simple Wine and imVino. The conference programme explored various topics including the criteria for quality wine. Another seminar focused on the statutory regulations for alcoholic drinks and discussed how the legislation can be complied with but also improved. On the topic of soft drinks, presented by the Union of Producers of Soft Drinks and Mineral Water, six speakers gave interesting talks on trends and prospects for the soft drinks market. In the Packaging Innovation Zone, the trade fair partnered with PETnology to provide visitors with food for thought, background information and proposed solutions for drinks packaging. The World Packaging Organisation also participated in the Packaging Innovation Zone. The conference programme included discussions on the future of PET, labelling and sustainable packaging. further developing the event and aligning the concept holistically to the local beverage industry. We will now use the rest of the year to work on taking the next step forward in 2020. The next Beviale Moscow will take place in spring 2020. The exact dates will be announced as soon as possible. Ahead of the highly-anticipated return of Game of Thrones this April, we can raise a glass to the Game of Thrones Single Malt Scotch Whisky Collection as it officially hits stores across certain European countries. To celebrate the eighth and final season of the critically-acclaimed TV series, Game of Thrones, Diageo and HBO have released a limited-edition collection of Single Malt Scotch Whiskies. The collection features eight scotch whiskies, each paired with one of the iconic Houses of Westeros, as well as the Night’s Watch, giving fans an authentic taste of the Seven Kingdoms and beyond. Diageo’s unparalleled diverse range of distilleries in Scotland, much like in Westeros, each have their own unique characteristics and produce a distinctive whisky representative of its local terroir. These similarities were the inspiration behind the collection, drawing an authentic storyline between each House and single malt pairing. The Game of Thrones Single Malt Scotch Whisky Collection joins White Walker by Johnnie Walker another limited-edition whisky in celebration of the hit TV series. Unveiled in October, White Walker by Johnnie Walker is inspired by the most enigmatic and feared characters on Game of Thrones - the White Walkers.